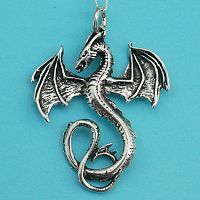 - Mighty wings batter the air as this dragon rears skyward, seeking his prey. Measures 1-7/8" tall, including bail. 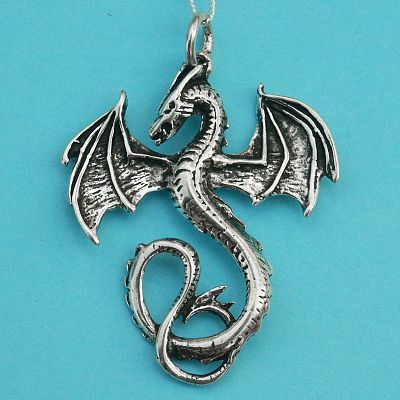 Includes 18" Sterling Silver chain. 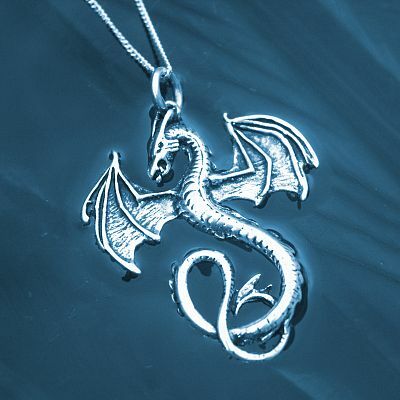 Do you have any other questions about our Silver Dragon Volant Pendant? Very beautifully done. Form looks very natural.